As you can see, the test car now features the production kidney grille up front, along with what looks like the finished bumpers, with the body just covered by a thin layer of the classic swirly wrap. The overall design looks closely related to the Z4 Concept but it’s understandably toned down for production. We just wished that BMW would keep the concept’s shark-nose treatment up front but apparently we’re not going to get it. The new BMW Z4 is riding on a new platform that according to reports was engineered for use with electrified powertrains as well as all-drive systems. 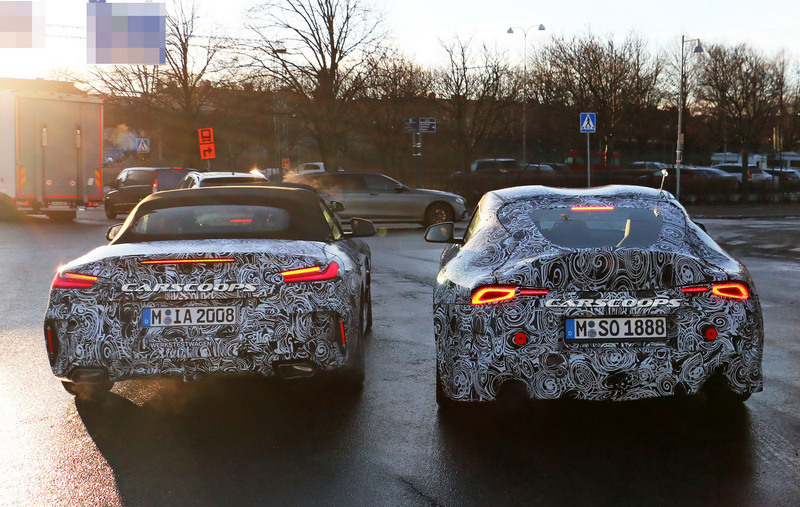 Unless you’ve been living under a rock for the last two years, you’d know by now that BMW and Toyota co-developed the platform as it’s going to also form the basis for the hotly-anticipated new Supra. So far we’ve heard that BMW will offer the 2019 Z4 just in the classic rear-drive configuration, leaving Toyota alone to play with electrification and all-wheel drive applications. We also heard that the Bavarians are planning a proper M version this time as part of the BMW M’s new expansion plan that includes launching 26 new models by 2021. Entry-level versions of the 2019 BMW Z4 will be powered by a turbocharged 2,0-liter four-cylinder engine paired to a six-speed manual transmission, making 194hp and 236lb-ft of torque (320Nm). A more powerful version of the same engine will appear on the sDrive 30i models. BMW will also equip the new Z4 with a six-cylinder B58 engine in the M40i version. We don’t know what engine is going to be used in the M version but last time BMW built a Z4M they’ve used the same powertrain with the M3. Production of the 2019 BMW Z4 is expected to begin in November 2018, with the launch expected in early 2019. 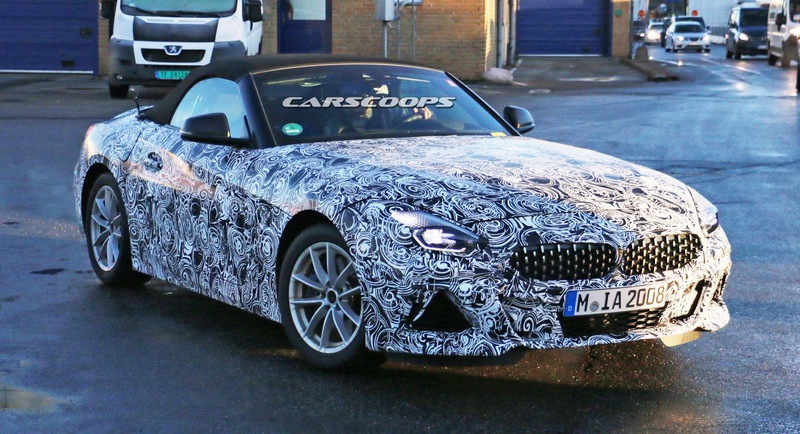 0 Response to "2019 BMW Z4 Starts Dropping Camouflage As Debut Edges Closer"